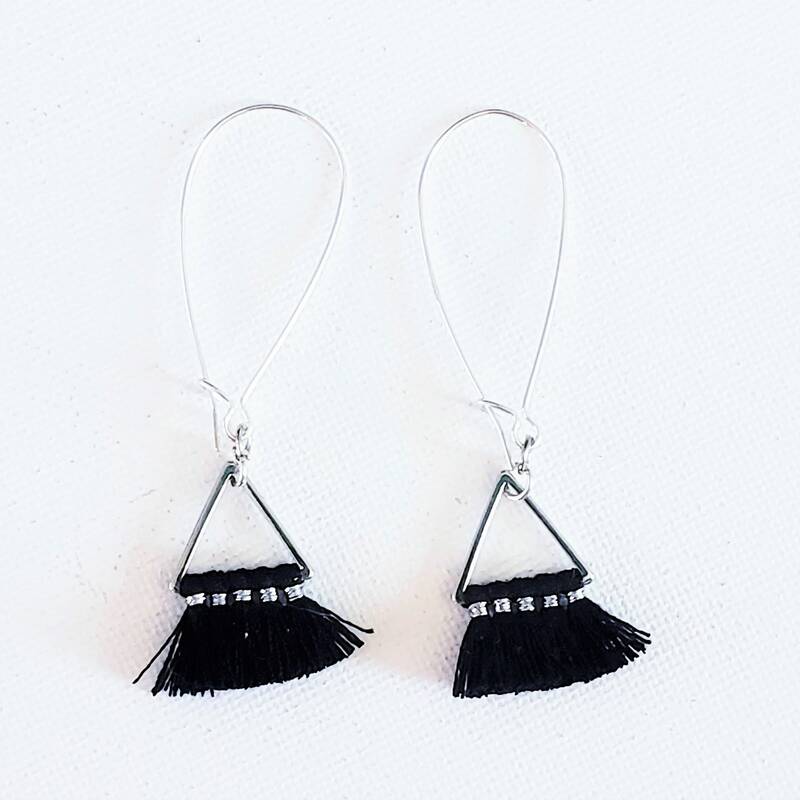 Tassel earrings are this season's hottest trend! 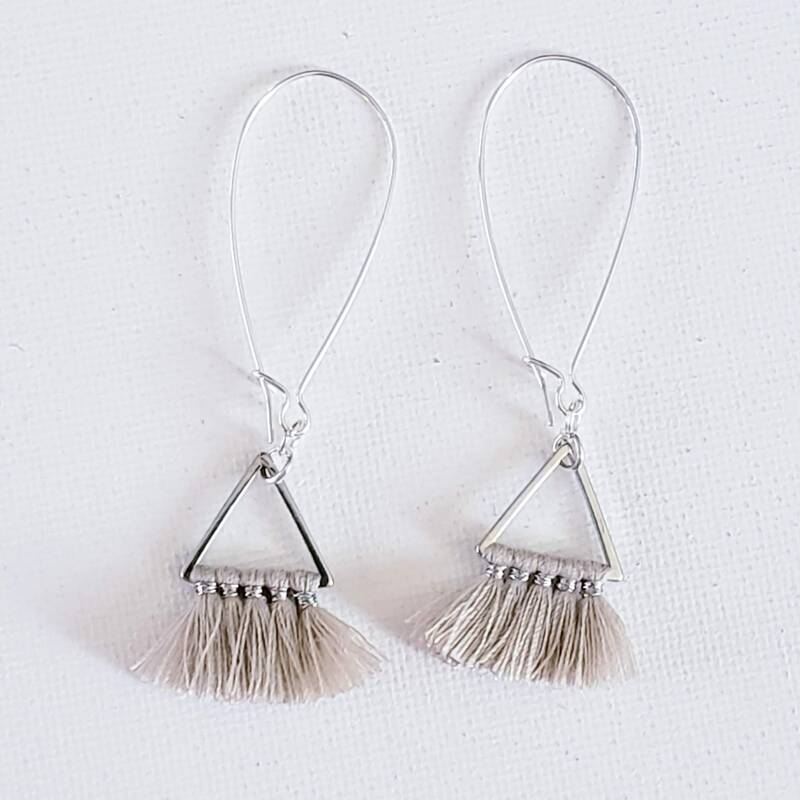 Lightweight, beautiful & unique, our Triangle Fanned Tassel earrings will really make a statement. 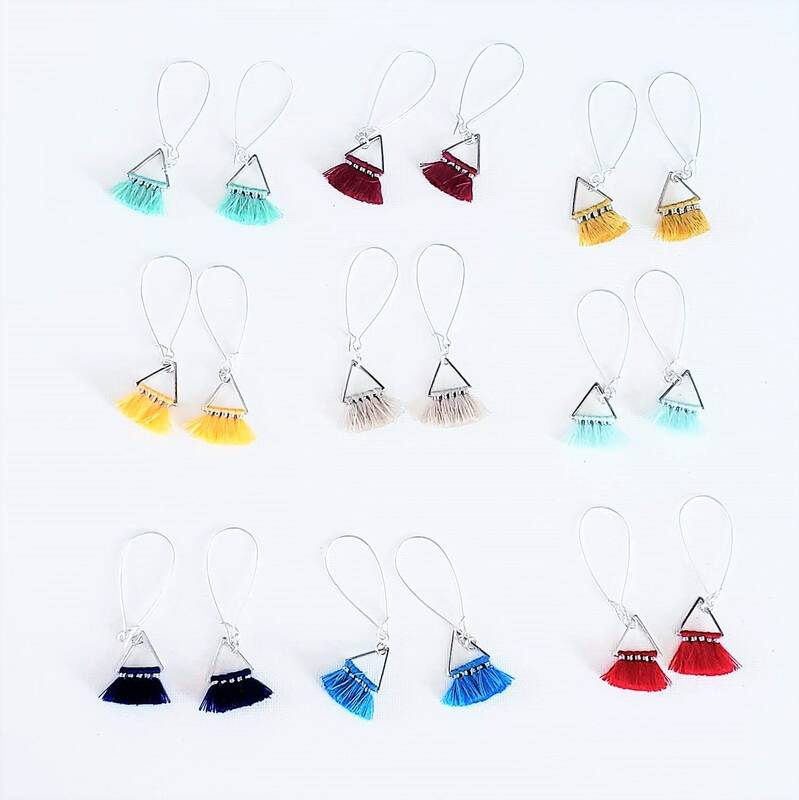 Our versatile handmade tassel earrings are unique and stylish while also being light enough that you'll forget you're wearing them. 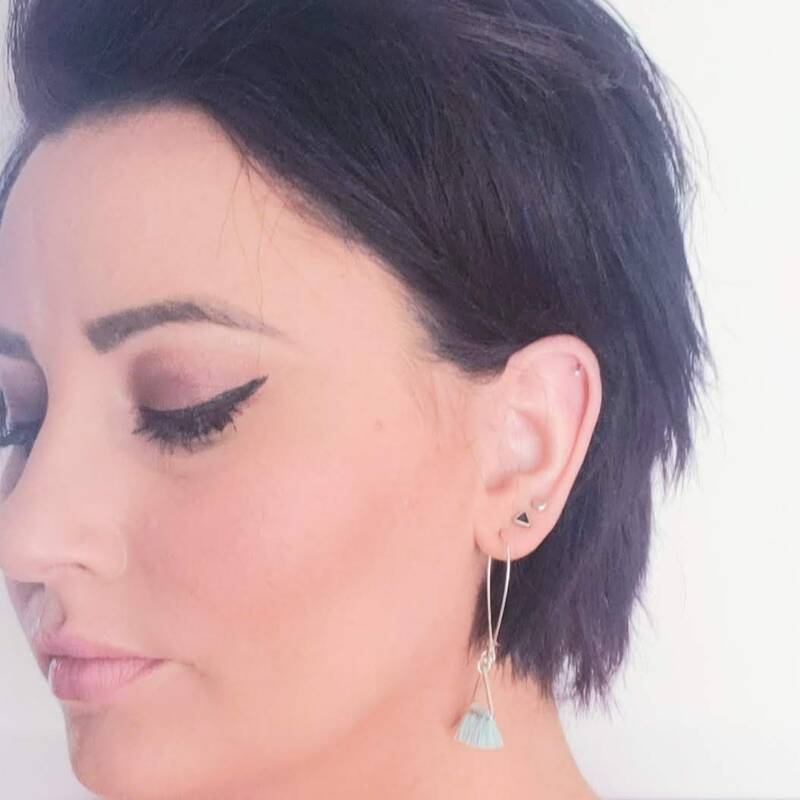 Easy to dress up or down and flattering to any face shape, you can’t go wrong with these beauties! 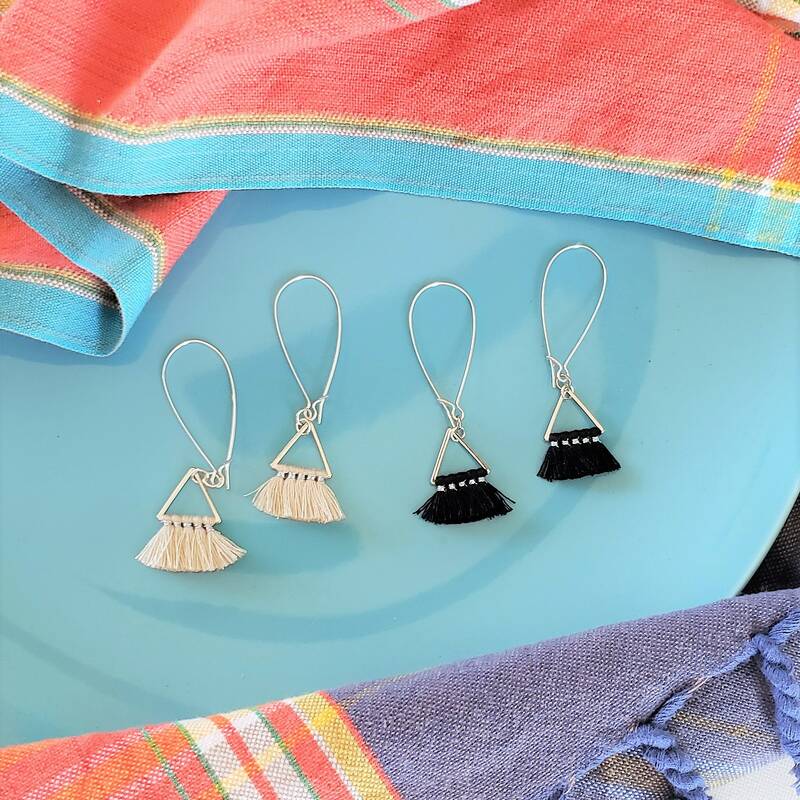 Choose between beautiful black or natural white. 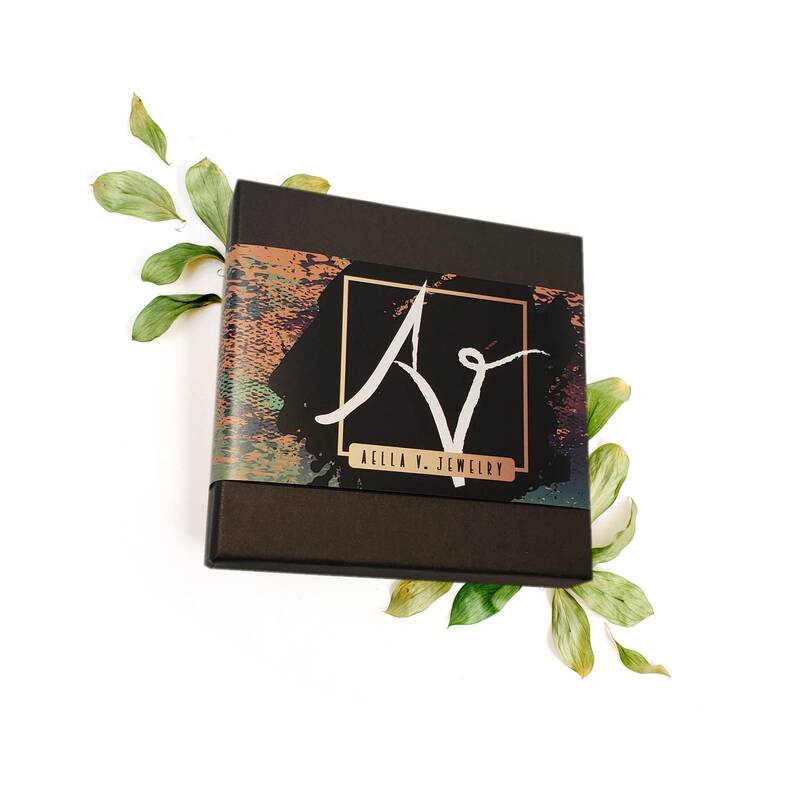 Or, treat yourself to both and save!! !